Helping farm workers and people who provide rural home care develop their own cooperatives is taking a major step forward, thanks to the Rocky Mountain Farmers Union Foundation and the United States Department of Agriculture. The Foundation applied for and was awarded a $200,000 Rural Cooperative Development Grant for calendar year 2018 to work on a wide variety of projects. Besides farm labor worker cooperatives and rural home care worker cooperatives, the RMFU Foundation’s 2018 work will include food hubs and value food chain businesses, land access for small and beginning farmers, and outreach to numerous groups regarding the benefits of the cooperative business model. Farmers and ranchers are doing their best to plan for the 2018 growing season. As you know, the farm economy is reeling from two years of depressed prices, making every producer’s decision a financial make it or break it call. Complicating this situation is the fact that USDA staffing in many areas of Colorado is inadequate or non-existent. water available for irrigation this year is a concern for some growers. Mid Squares: Premium 185.00, Retail/Stable. Small Squares: Supreme 285.00 (8.50 per bale), Retail/Stable. Large Squares: Premium 185.00, Delivered. Small Squares: Premium 330.00-335.00 (9.50-10.00 per bale), Retail/Stable. 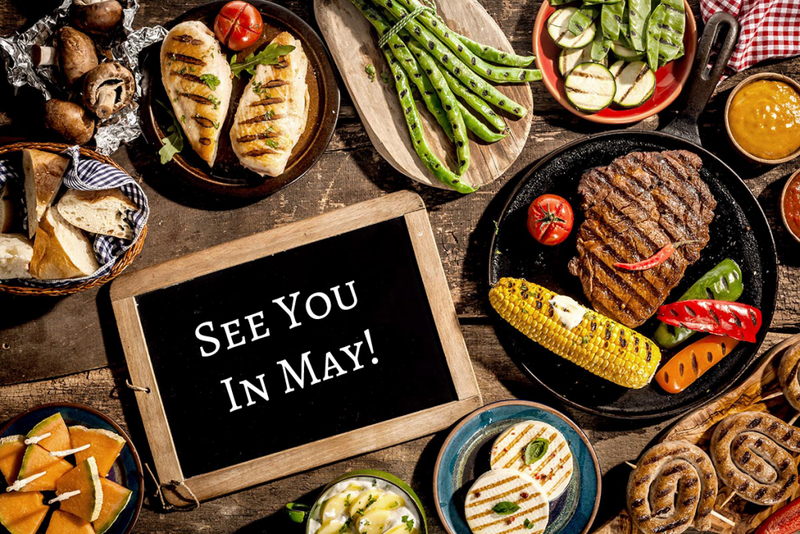 The 2018 Rocky Mountain Food Safety Conference is May 8-9 at the Arvada Center. Established in 1972, the Rocky Mountain Food Safety Conference has become the premier food safety conference of the Rocky Mountain region and beyond. The conference brings together professionals from the food industry and the food safety community, providing a unique annual opportunity for updates, networking, and new ideas. National and local experts present information and views on current issues, problems, and developments, and conference participants gain an updated, broader view of the field and their role in securing and protecting a safe food supply. Industry lobbyist for cotton and dairy say safety-net fixes are nearing. Key industry lobbyist told the Hagstrom Report they believe there will be fixes to the problems in the cotton and dairy programs in the package of appropriations and disaster funding that Senate leaders are working on. An unnamed source said: “This would be a big win for agriculture going into the farm bill.” Ag leaders in Congress have been seeking a fix to the cotton and dairy programs in the disaster bill because they don’t think they can find the budget authority to change those programs in the farm bill. The disaster bill that the House passed to address help hurricane and wildfire victims contained both cotton and dairy provisions. House Agriculture Committee Chair Mike Conaway earlier this week said fixes for cotton and dairy should be part of any must-pass legislation. National Farmers Union announced a farm bill campaign Wednesday that seeks to educate the public and to generate support for a farm bill to be passed this year. The campaign includes a new website, videos, weekly promotions and a petition. As Congress prepares for farm bill talks, NFU President Roger Johnson says: “Farmers Union wants to be sure all members of Congress understand why the farm bill is so vital to family farm agriculture, our land, our rural communities, and our nation’s most vulnerable citizens.” The campaign features a nine-minute video on the importance of the farm bill to family farmers, the environment and consumers, profiling Farmers Union members from across the country. NFU is also encouraging farmers and consumers alike to share the video on social media with the hashtag #FarmBillNow. Find the campaign online at https://2018farmbill.org/. CME Group is mulling potential changes to corn and soybean markets to address concerns the contracts’ prices are not accurately reflecting the underlying U.S. cash grain markets. Reuters reports that CME Group says it is “only in listening mode,” and that no changes are permanent. CME Group has been talking with customers about potential adjustments, as the discussions signal a new way in which the oversupply has been affecting day-to-day operations in the U.S. farm sector. Reuters says that farmers who rely on CBOT futures are beginning to lose faith in a critical hedging tool to offset the risk of raising crops and defend themselves against price swings. At issue for CME is a discount for corn and soybeans in the U.S. cash markets, where farmers sell their physical harvests, relative to the company’s soybean and corn futures contracts. Normally, the global futures benchmarks come together with cash prices at delivery points along the Illinois River when the futures contracts are expiring. But, some have not in recent months. 2017 was a record-breaking year for U.S. red meat exports, with beef export value exceeding $7 billion for only the second time. Pork exports, meanwhile, easily surpassed the previous year’s volume record. The U.S. Meat Export Federation reports beef exports totaled 1.26 million metric tons, up six percent from 2016. This was the fourth-largest volume on record and the second-largest of the post-BSE, or mad cow disease, era. Beef export value reached $7.27 billion, up 15 percent year-over-year and two percent above the previous high achieved in 2014 of $7.13 billion. Pork exports totaled 2.45 million metric tons in 2017, breaking the 2016 record by six percent. Export value was $6.49 billion, up nine percent year-over-year, and the second-highest on record, trailing only 2014’s $6.65 billion. Pork exports accounted for 26.6 percent of total production in 2017 and 22.3 percent for muscle cuts only, each up nearly a full percentage point from a year ago. More companies are departing the Grocery Manufactures Association. Politico reports that the Kraft Heinz Company and DowDuPont are the latest to part ways with the association. The two companies join the Campbell Soup Company, Nestle, Dean Foods, Mars, Tyson Foods and Unilever. Politico says GMA staff are also leaving, including high-ranking executives. GMA pledges changes: A spokesperson for GMA said the nonprofit was working to adapt to the changing times. Roger Lowe said: “GMA and its board are moving forward with their work to reinvent a GMA that provides a voice for our industry as our members seek to improve the health and well-being of consumers and society.” DowDuPont, which makes agrichemicals as well as a variety of packaging and bio-based ingredients for food companies, said it would focus on building relationships with customers. Kraft Heinz says it has decided to focus efforts through category specific trade groups. The exits from GMA started when the association and companies disagreed on GMO labeling.